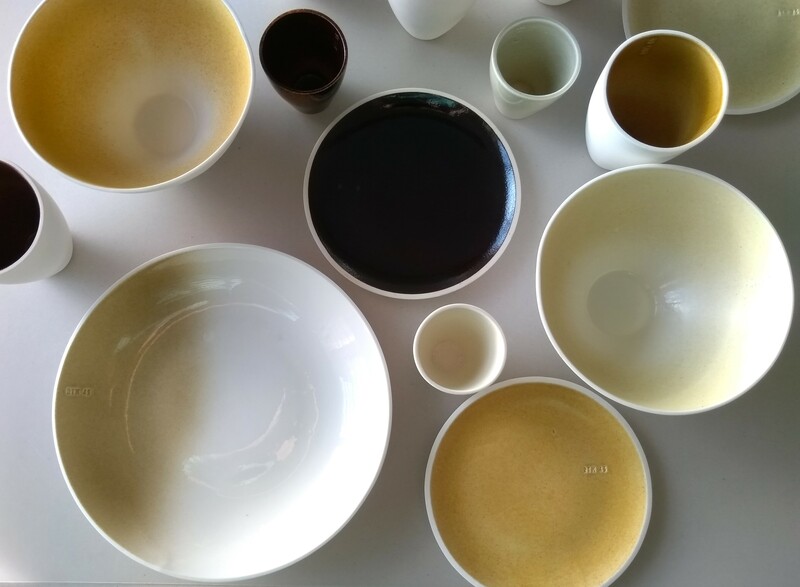 From fine dust to fine tableware - Rotterdam. Make it Happen. At first glance it may appear a bit strange. Two ladies, scraping walls alongside busy streets in the centre of Rotterdam. But it’s not strange, say Annemarie Piscaer and Iris de Kievith, the two aforementioned ladies. “We pick these spots very carefully. Many cars use these streets and there’s a lot of breaking. These spots are the dirtiest and here we can harvest the most.” Probably this doesn’t help you understand things. By all means, read on. This is the story of two ladies who share a good dose of idealism and imagination and use that to bring to our attention and tackle a big problem. Make It Happen with a bucket. The specific quantity of dust used makes for colourful variations in the glaze. In order to develop the technology for making a glaze based on fine dust particles, Annemarie and Iris have had to call on the knowledge and expertise of various companies and institutions in and around Rotterdam. The collaboration yielded important and valuable contacts, insights and also new knowledge and crosspollination between different disciplines. Which is probably equally important as the original goal of creating awareness and visibility of the issue of air quality. * Project serVies was co-funded by subsidies from the Rotterdam CityLab program (2017). End of November 2018 Stadslab Luchtkwaliteit and spin-off project serVies won the Job Dura Award 2018.